A well-designed office space can increase employee productivity by 20% or more, whereas a poorly designed layout is estimated to cost companies billions in lost productivity a year. With stakes this high, creating the right look, function and feel is no small task. Download our free Office Layout Guide to discover the office space layout that works best for you. We review the most common office space layouts and the pros and cons of each to help you identify the right type of layout. This guide includes facts and figures on current office space trends and how those trends affect employee productivity. 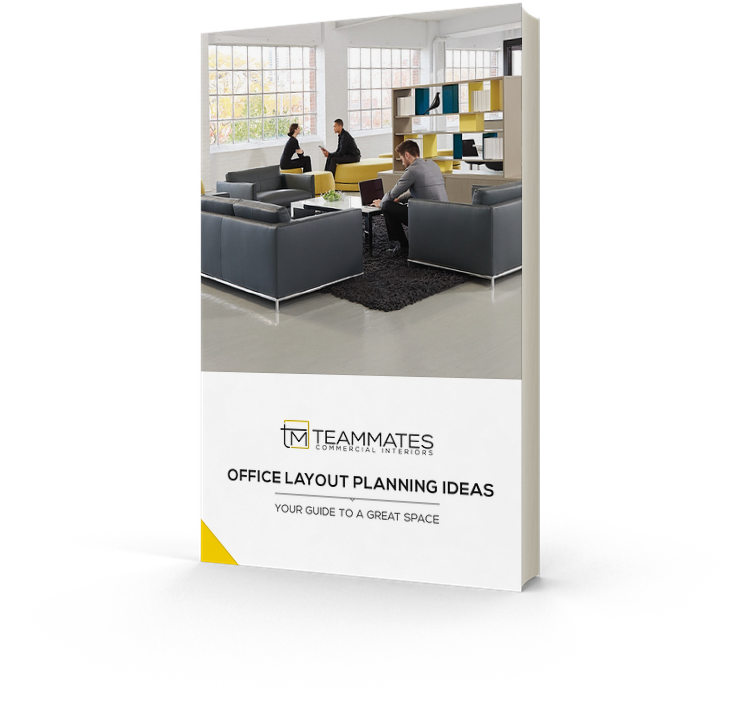 From beautiful imagery to comprehensive layout plans, this guide will spark creative ideas for your office space. Still need help with your office space layout planning? Contact us and we’d be happy to help out. Start Planning Your Dream Office Space Today! Not sure where to start planning your dream office? Whether you are remodeling an existing office or starting from scratch, our free Office Layout Guide can help you plan the best office layout for your workplace. In the guide, you’ll learn about the 5 most common office space layouts, the pros and cons of each layout, and trends, stats and templates to help guide your office space planning decisions.